Congress established National Hunting and Fishing Day (NHF Day) to recognize hunters and anglers for their leadership in fish and wildlife conservation. Since launching in 1971, each fourth Saturday in September is set aside as NHF Day. This year’s NHF Day is set for September 22 with retired NASCAR driver Dale Earnhardt Jr.serving as honorary chairman. Pheasants Forever and Quail Forever are official Partners for National Hunting and Fishing Day. Working together we promote the importance of the National Hunting and Fishing Day celebration and message. NHF Day is one of the most effective grassroots campaigns to promote hunters, anglers and the conservation of wildlife and habitat. 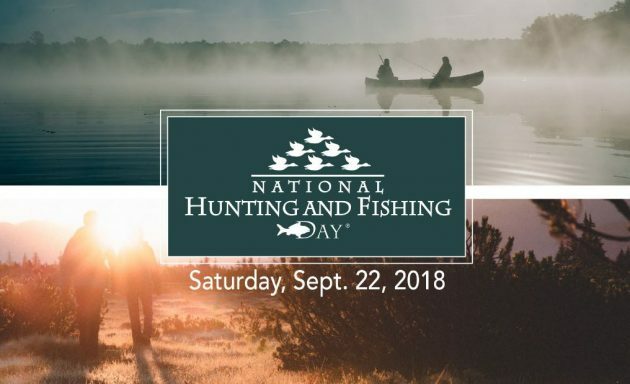 Each year, thousands of people participate in NHF Day events across the country to commemorate the foundation of conservation through fishing and hunting. Today there are 34 million hunters and anglers in the U.S. By purchasing hunting and fishing licenses, and paying special taxes on firearms and ammunition, bows and arrows, and rods and reels, hunters, anglers and shooters generate $100,000 every 30 minutes! This annual total, $1.75 billion, pays for the vast majority of the conservation work of fish and wildlife agencies in every state. In turn, healthy and well-managed habitat sustains all fish and wildlife species—the ones pursued by hunters and anglers, and the ones that aren’t. What does that mean for you and me? It means that whether or not you hunt or fish, you have the opportunity to enjoy fish, wildlife and wild places. We hope you’ll celebrate National Hunting and Fishing Day. Spread the word about how conservation happens in our country. And then get outside and enjoy hunting and fishing!